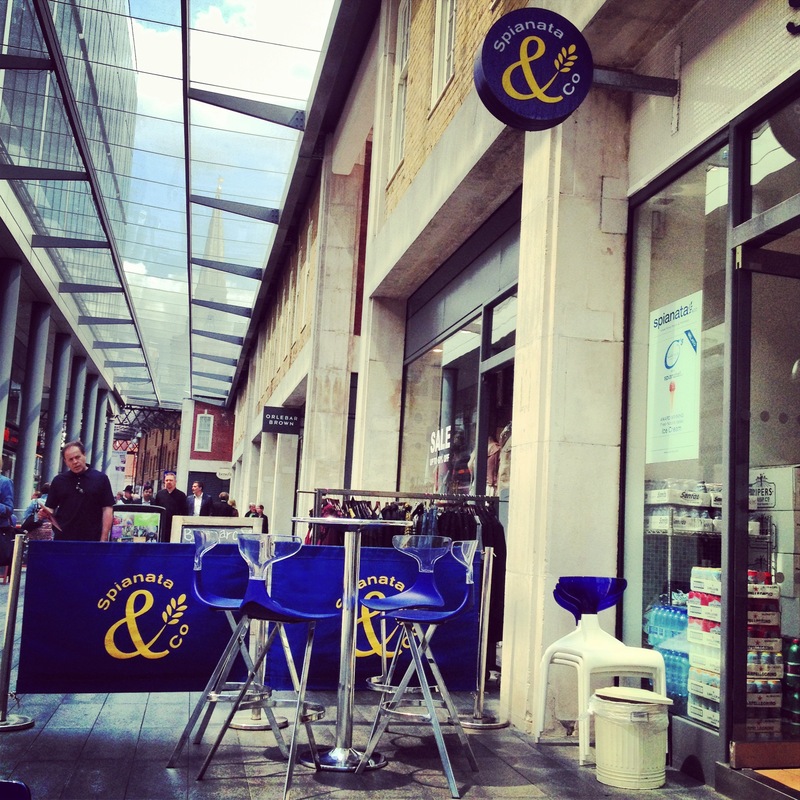 I am at Spianata in Spitalfield Market with Mr.B, sipping latte & looking at passerby. Such a lovely weather today. Gentle breeze caresses my forehead like an exquisite silk chiffon scarf. 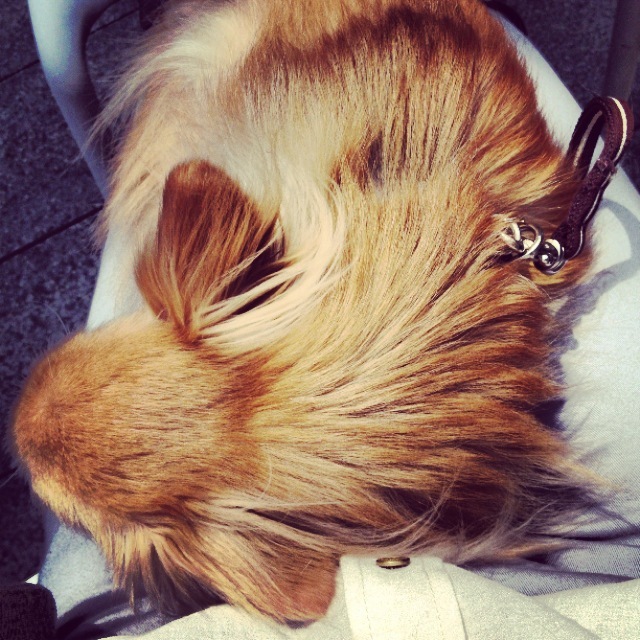 And chilled out Mr.B, snuggling up on my lap and sniffing the air occasionally. By the way, true to my word, I carried out my second solo film outing! The very next day of the film was premiered, I was in a queue for a ticket at Odeon West End, Leicester Square. Against my guess that the cinema would be deserted since the weather was gorgeous (as a British standard) and the screening was in early afternoon, the foyer was busy with a substantial crowd. Wow, what’s going in?! After settling down in my seat, I swivelled my head like a periscope and studied the fellow audience. Those with companions were chatting busily in a hushed tone. And loners like me were fiddling smartphones or sipping beverages, killing the boredom. Shortly afterward, the lighting was darkened and customary ads for future screenings commenced. Oh yes, I must watch Sofia Coppola’s “The Bling Ring”! Then finally, the main act, that was what we were here for, had started. Everyone was holding a breath and the excitement was truly palpable! 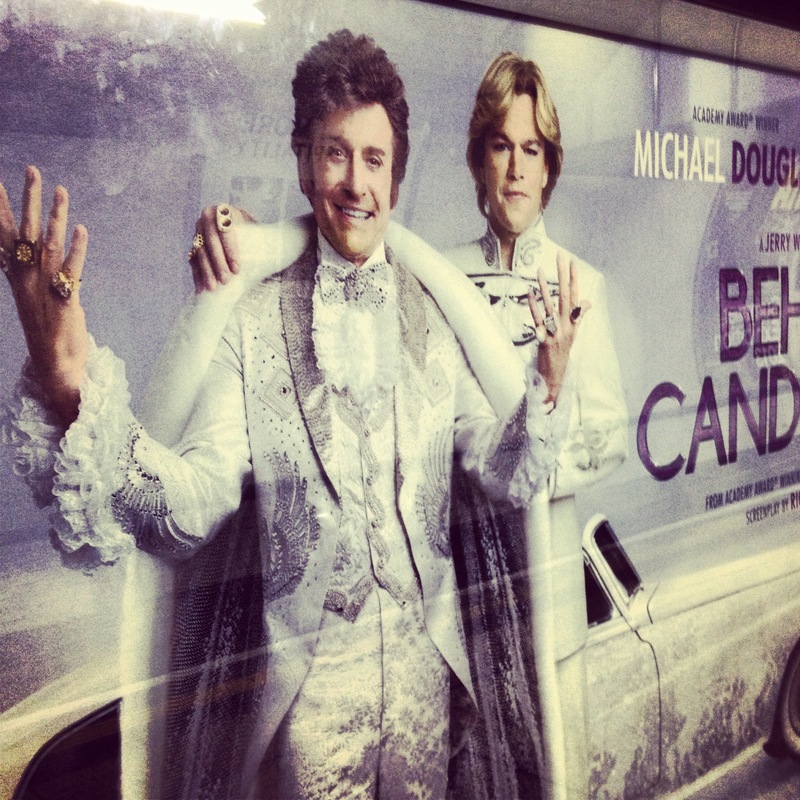 How did I find Behind The Candelabra? artist? 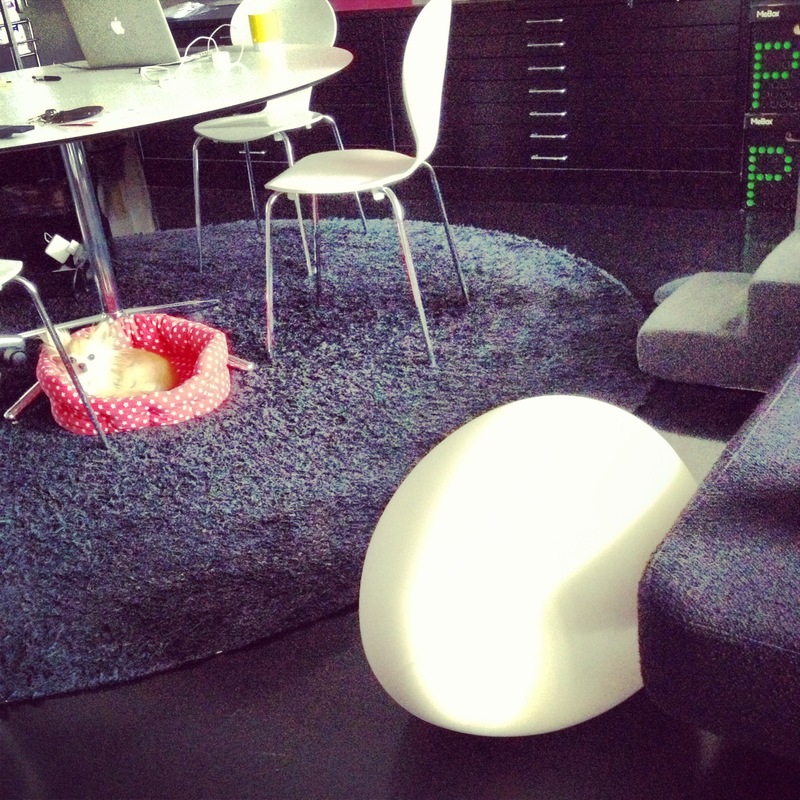 Or post- production retouching? Or both? It was astonishing. I wish if I could borrow one of those miracle workers for myself for one day (or even one hour!). And Michael Douglas, my, my, he was the legend, wasn’t he? His performance, as the legendary pianist, Liberace, was truly mesmerizing. How his fingers flew over the keys! Did he have a hand-double or something? The film was peppered with numerous entertaining moments and our bellies were tickled non stop. I was particularly taken by the scene when Liberace’s bitchy house boy, Carlucci, presented a plate of canapés to Scott played by Mr.Damon, thrusting his tightly clad a** to his face! I wasn’t sure how those male gay people in the audience felt about the scene. However, all pensioner ladies around me broke out with rapturous laughter. It was soooo funny! Another hero of the film was the plastic surgeon brilliantly played by the 80’s heart-throb, Rob Lowe. Together with his permanently arched eye brows and a contoured half-smile deadpan expression, he offered one of the best LOL moments in the film. In his post production interview, Mr.Lowe confessed how his scalp was pulled tightly and taped in order to create that distinctive “over-tweaked” look. As the result, he suffered with a terrible migraine throughout the filming. My verdict on the film was 5 star & highly recommended! The last word of Liberace was “Too Much of Good thing is Wonderful”. Hubbie is in Belgrade, Serbia at the moment, giving a lecture. And I & Mr. B are left alone to roam free. Yipee! Not that Hubbie is a controlling kind of guy. Far from it. 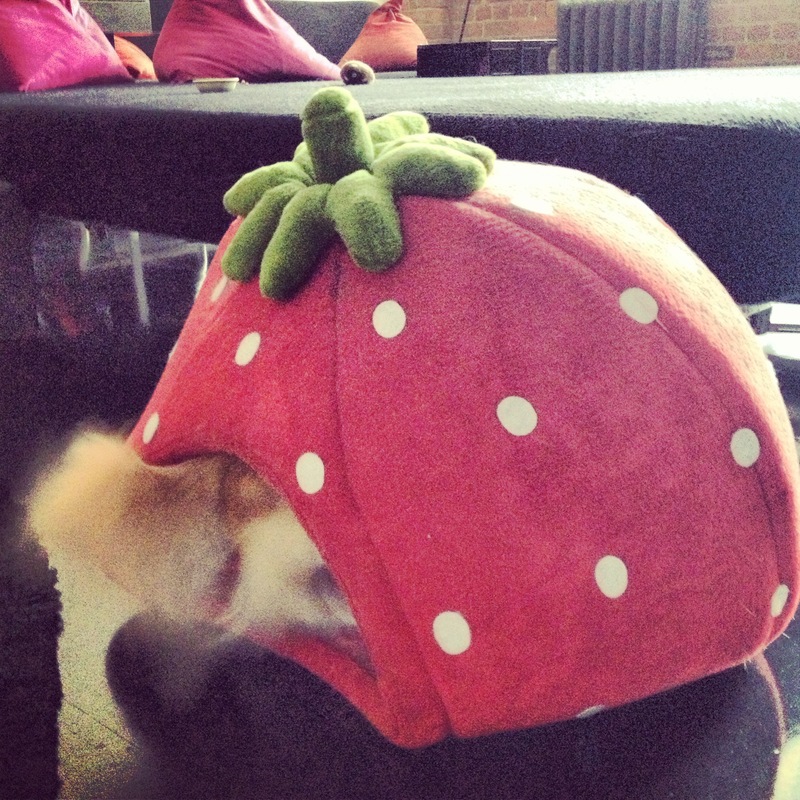 However, he can be quite picky when it comes down to food. So I eat what I cannot eat normally when he is away! He is born & bred in Yorkshire with very plain foods (so I gather). 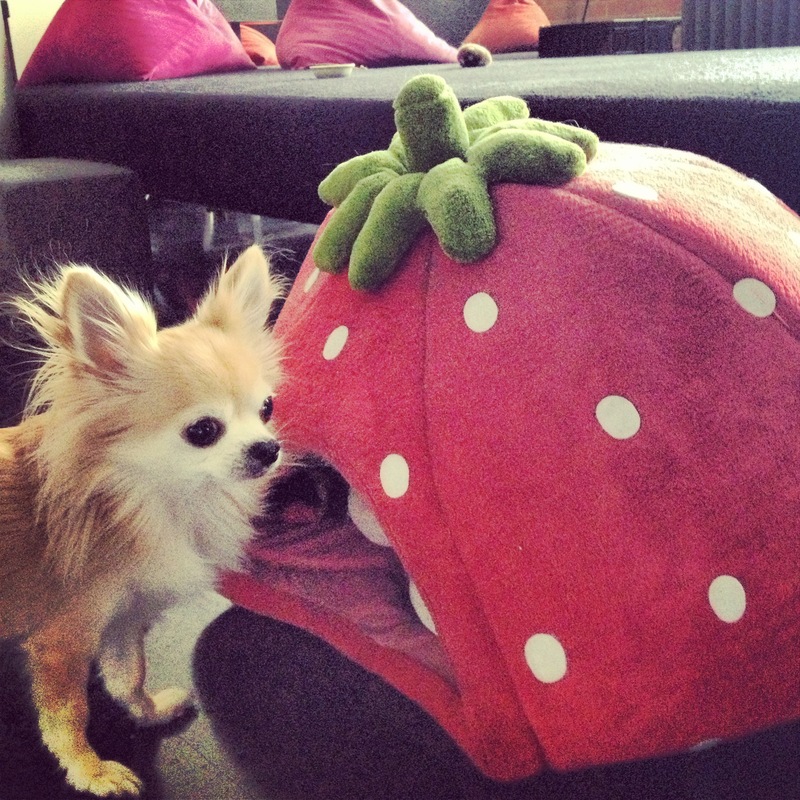 Therefore, his taste bud is rather conservative. Serving him anything un-British, his cutlery stops moving. Ever since we started to go out together, I introduced him to more diverse culinary experience. However, old habits die-hard, he can’t take anything overly spicy, sour nor pungent. One of the foods I look forward to enjoying during his absence is Natto. Natto is a soya product which is an everyday food amongst Japanese, especially in the east half of Japan. 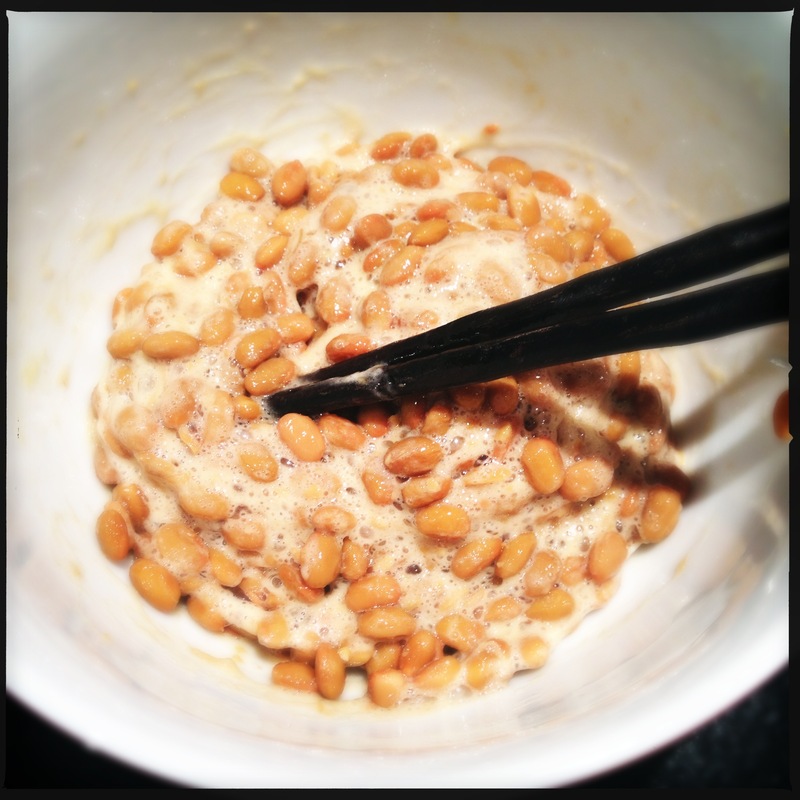 I can’t remember since when I started to appreciate and enjoy eating Natto. Maybe in my twenties? My taste bud seemed to have grown up. And learning that Natto had many health benefits helped me to overcome my initial reservation too. When Hubbie visited my family the first time, my parents opted for a large tray of sushi as a welcome dinner. My dad became mischievous and chaperoned him to try one of Natto gunkan-makis – Gunkan-maki is a type of sushi consisting of sushi rice shaped in a oblong cylinder and wrapped in a sheet of nori. The top is adorned with fish roe, Japanese style coleslaw or Natto. Hubbie was so keen to impress his future father-in-law, therefore, picked the one up obligingly and placed it in his mouth. His eyes widened with a shock then became slightly teary. While I held my breath, he gulped it in one go like a starving crocodile and followed it up with a large swig of beer. Dad’s eye glinted of glee and uttered “Outstanding!” Naughty dad. 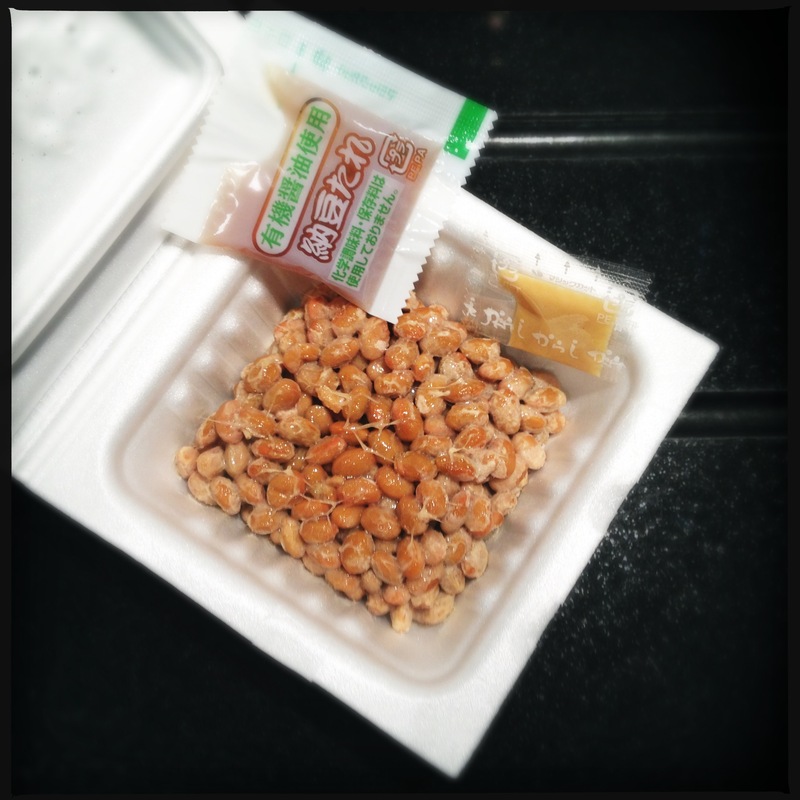 Typical Natto comes in like this. 3 or 4 are bundled up as a set. I buy them from a Japanese supermarket and keep them in a freezer. Seasoning & mustard will be added later. My mom used to say “Stir 100 times at least!” At the beginning, the natto is very sticky which makes getting going rather tough. 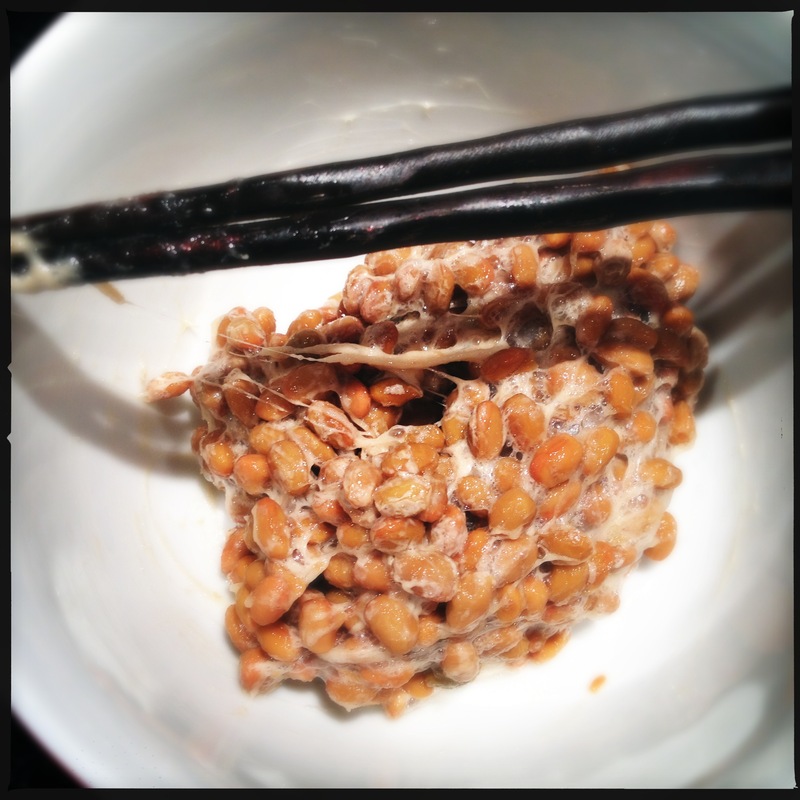 The Natto spins white web and it sticks to the surface like a Spiderman’s! Still, I persevere with firmly held chopsticks in my right hand and gripping the bowl like a vice with my left. After it is whisked more than 200 times, the texture loosens up and turns creamy. 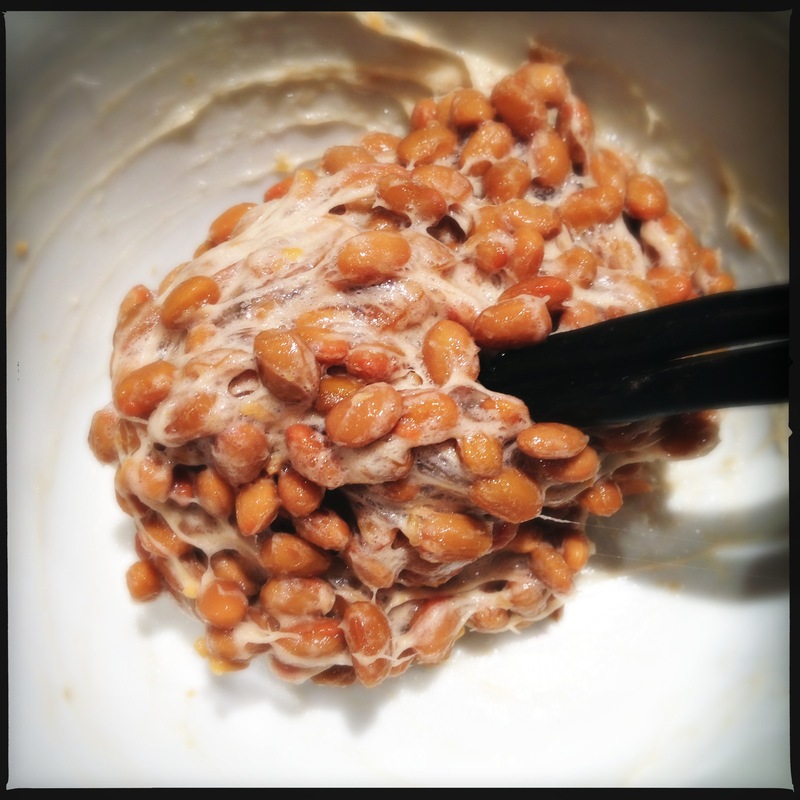 Natto can be enjoyed as it is, or with a bowl of rice. It can also be added to omelette or even be served on top of Japanese style curry! Natto provokes and divides opinions. Some love and some loathe. There is one thing I have been lusting after since this morning. Ahhhhh, quality audio equipments never come cheap, do they? My expensive taste when it comes to in-ear headphones has started five years ago, since that fatal moment, when I stuffed my ears with a pair by Ultimate. My life (& my ears) has changed forever. 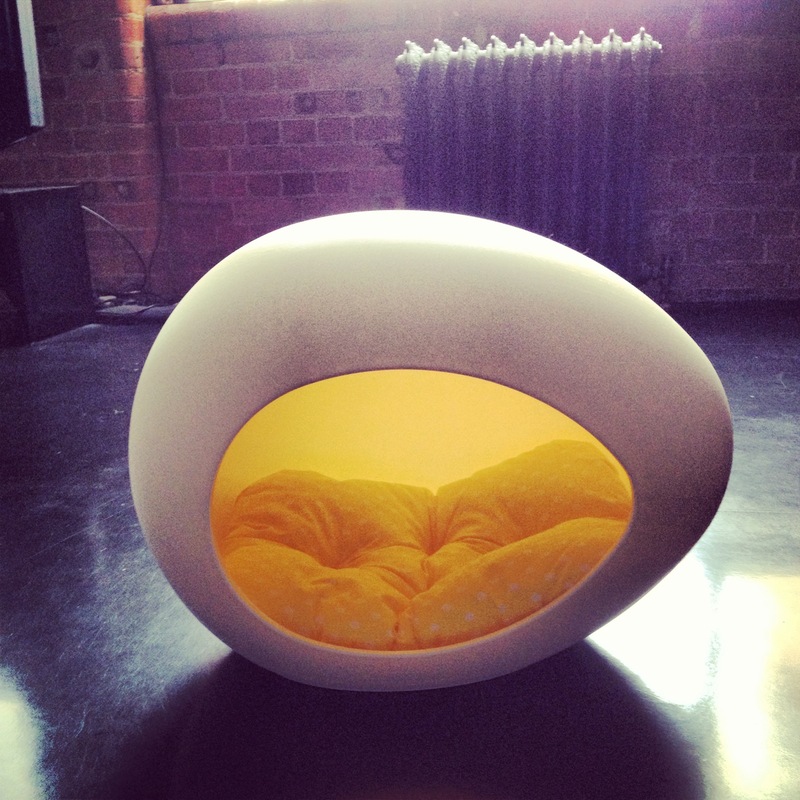 Unlike any other luxury experiences, a sensory one such as audio is specific and unyielding. Once one is initiated to this sensory treat, it is just impossible to downgrade to any lesser equipments. Most definitely not one of those whinny white pairs comes free with iPhone! Ahhhh, I don’t know what to doooo! The more I think about it, the cloudier my mind gets. Should I spend that money on my new iPhone? Or should I have a better audio experience? I am soooooo confused. No shoes nor frock can give a spine-tingling sensation like good headphones can every time I wear them. Therefore, my intention is not all wrong. I only wish if it didn’t come with such a steep price tag.